Skateboarding Australia is a blog setup to share all facets of skateboarding from Tips, Tricks, Events and even Competitions from all around the nation. Skateboarding has evolved over time since the early 1960s even though no one really knows who came up with the concept of building the very first skateboard but the very first concept of a rideable skateboard was attaching roller skate wheels to a plank of wood. Overtime materials for the deck and wheels have changed to provide more stability, control and traction with the use of fibreglass and aluminium. Then companies began to manufacture trucks or so called axles specifically designed for skateboarding to improve manoeuvrability. These such materials improved the overall handling of the skateboard so much that skateboarders were inventing new tricks and started to skate on different terrains such as the vertical wall of a swimming pool. However, many people could not afford to build their own vertical walls or have access to empty swimming pools and so the trend of skateboarding was more focused on street skating and flat ground tricks. Pushing street skaters to use obstacles around shopping centres and businesses. This however, drove a wedge between the skateboarding community and business owners alike arguing that skateboarding was damaging the private property of owners. However, more recently in early 2000 with the government acknowledge this to be a problem and came up with the solution to put funds towards plans to build safe recreational skateboarding parks with the intent to attract skateboarders towards a safe zoned area to skateboard driving skateboarders off the streets into a public and safer community further promoting the sport. 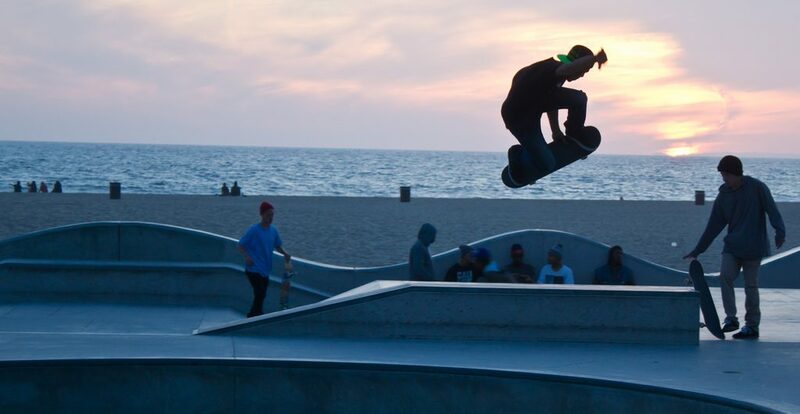 Which leads us to skateboarding as we know it today, recognised as a sport in all over the world with its own competitions, sponsors and events indoor skate parks with over 4 metre high vert ramps.